AURORA, Colo. (WLS) -- The driver of a car in Aurora, Colo., hit the gas instead of the brakes in a scary close call caught on surveillance cameras. 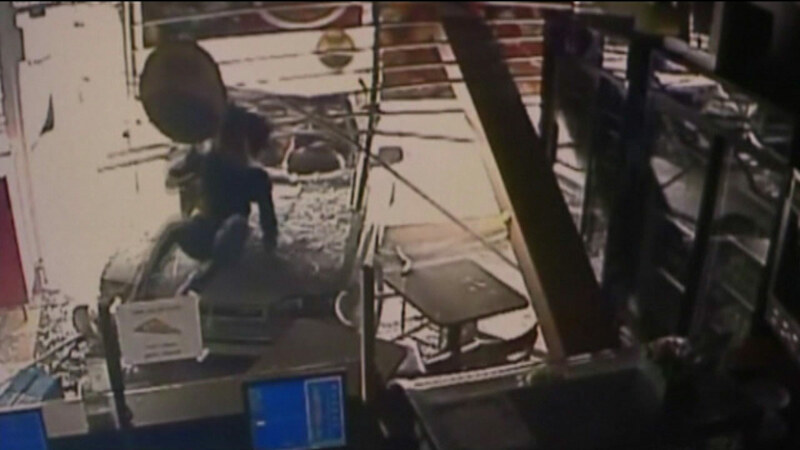 In the video, the driver not only plowed into the restaurant but hit a woman walking by. But the woman who landed on the hood jumps up and walks away. She's expected to be OK. The people in the car are also expected to be OK.